December 19th, 2011 by Katie Koch | Filed under Teaching. 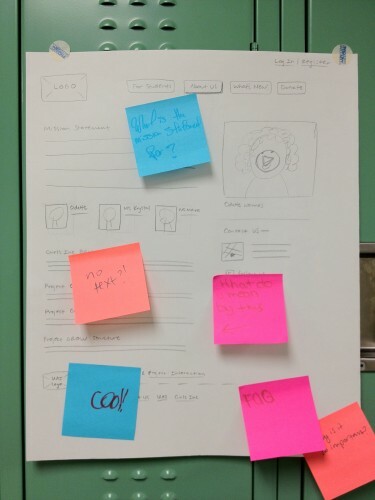 Carmen and I translated the students’ post-it note wireframes into low-fidelity wireframe drawings. We presented the drawings back to them for review. It was tough to have our work critiqued by the students! They had great questions for each page: “Why is this here? Do we need to have it?” and “This page looks weird. Let’s change it.” We were proud to see our students turning a critical eye to their and our work, and it was exciting to see their reactions to a near-complete project. After we received sufficient feedback we transitioned into a visual exploration exercise. To introduce visual design concepts we first gave a (very!) quick lesson on typography. With a few basic principles in mind, we asked the students to dig through the pile of books and magazines we brought to find examples of interesting typography. The visual materials were a great platform for sharing ideas and talking about what they do and don’t like. We repeated this exercise with hierarchy and layout concepts. Again, they hunted for interesting visual content and were able to easily share what they did and did not like about the designs. After each example we talked about how the concepts might be relevant to our Project GROW website. The girls were easily able to make connections between the magazine content and the ideas they had in their heads. Our last exercise was about color. 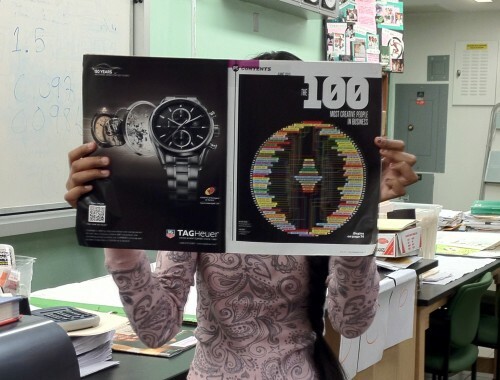 For inspiration, we showed them Color Index and again asked the students to find some magazine examples with great colors. Not surprisingly, they chose a lot of bright, exuberant colors. They liked the idea of adding in a lot of vibrancy and using a rainbow of options in the color palette. 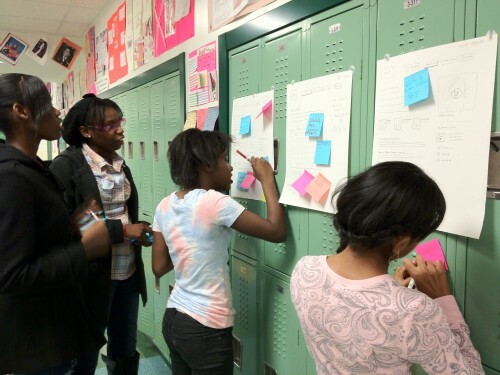 The students left class with plenty of ideas in their heads for what the site might look like. We’re excited to see where the visual design goes in the coming weeks!